Leading Manufacturer of plastic geogrid and biaxial geogrids from Nagpur. 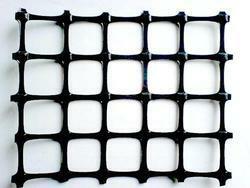 We offer wide range of Plastic Geogrid. These grids are flexible and have high tensile strength. Very high strength at low strains. 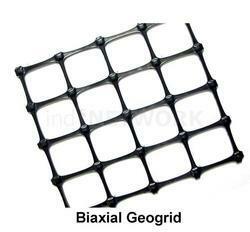 Biaxial Geogrids are geosynthetics created by a standard system of internally linked essentials with openings to allow interconnecting with neighboring soil, earth, rock and other adjoining materials to function mainly as support. These are most commonly used for retaining wall, void bridging, pavement reinforcement, embankment over soft soil and slope sharpening. Additionally, it helps in stabilizing soil heap. Looking for Metal Geogrid ?